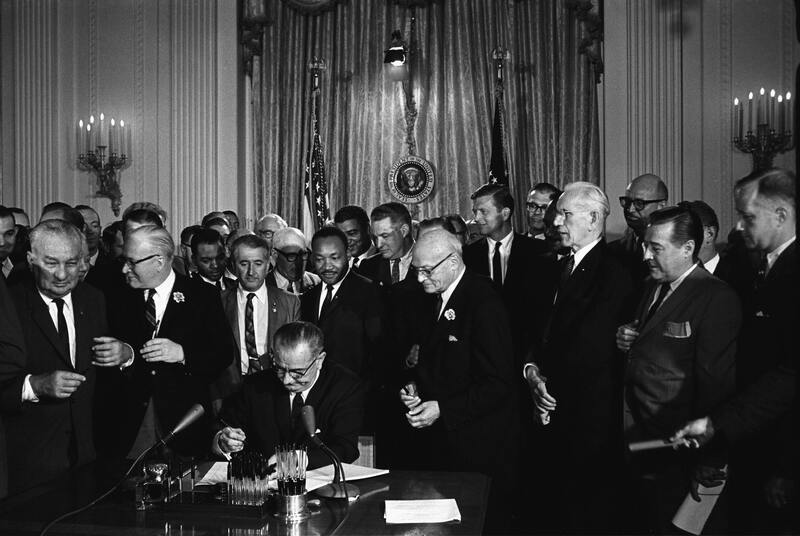 This photograph shows President Johnson signing the Voting Rights Act of 1965 into law. Dr. Martin Luther King, Jr. appears in the photo standing behind Johnson among politicians and civil rights activists. Okamoto, Yoichi R., “Johnson signs Voting Rights Act,” Digital Public Library of America, https://dp.la/item/0a3041caaac9d5210e8c241326f2c6c0. Courtesy of New Georgia Encyclopedia via Digital Library of Georgia.